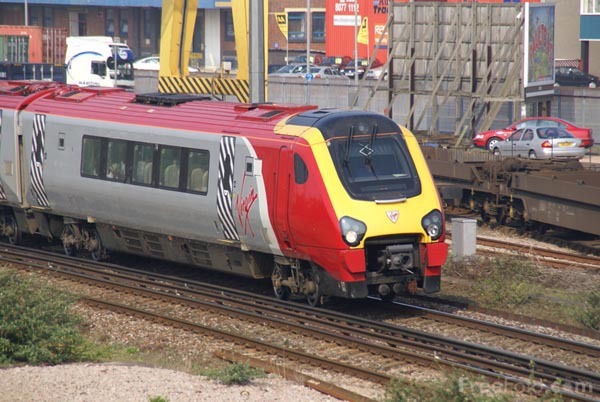 Picture of Virgin rail services Cross Country fleet of 34 diesel electric Class 220 Voyagers. Each Voyager four car set has a driving cab at each end and carries a total of 162 standard passenger seats with a further 26 in Club Class. The first passenger service entered service on Monday 21st May 2001 as part of the build-up to full services. VIEW: More images from the category Virgin Voyager Class 220 DMU or taken at the same location or around the same time .